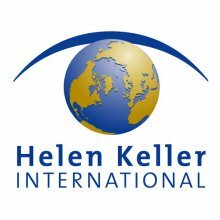 Established in 1915 with Helen Keller as a founding trustee, Helen Keller International (HKI) works to save the sight and lives of the most vulnerable and disadvantaged. Headquartered in New York City, HKI currently conducts programs in 21 countries in Africa and Asia as well as in the United States. HKI is known for sustainability, reliability, efficiency and the highest level of technical expertise in fighting and treating blindness and malnutrition. To accomplish its work, HKI builds the capacity of local governmental, civil society and private sector systems and infrastructure, and promotes the development of sustained, large-scale programs that deliver effective preventative and curative services for nutrition, eye health and neglected tropical diseases. HKI has been successfully operating in Tanzania since 1984. Helen Keller International, in partnership with the Tanzania Food and Nutrition Center and CARDNO are launching a three year randomized control trial in four districts of Mtwara to assess the effectiveness of SMS programs such as the CDC supported Wazazi Nipendeni; Interpersonal Communication programs such as Mkoba wa Siku 1000; and a combination of the two in achieving lasting behaviour change. The research will focus on effectiveness and affordability of each of the three models. Results will be used to inform future programs to maximize effectiveness and value for money. We are searching for a dynamic and collaborative individual to lead our RISE project in Tanzania. The Project Manager will report directly to the Country Director and be the primary person responsible for the development and implementation of the project work plan and activities including project planning, management and implementation of the program. • Work closely with Country Director to oversee technical implementation of HKI RISE project. • Develop monthly, quarterly and annual work plans, reports, and detailed budgets for the overall program. • Coordinate external technical support, research, and data collection. • Contribute to monthly, quarterly and annual work plans, reports, and detailed budgets for the overall program. • Facilitate program initiation and developing relationships between stakeholders including partners, communities, and beneficiaries of the project. • Lead the daily management of the RISE project, ensuring effective project implementation. • Assist in development and supervision of implementation of the M&E plan for the RISE project. • Provide HKI and project stakeholders with relevant updates, reports, and success stories and lessons learned on a regular basis. • Participate in office management meetings. • Master’s degree in public health, social services, nutrition, or related field with at least 5 years’ experience in implementing a similar program. • Strong technical skills in behavior change communication, Fortification, policy development, or nutrition programs. • Strong experience in development politics at local, regional and national levels. • Experiences with managing development projects/programs with International NGOs, bi and multilateral donors. • Experiences in multi-stakeholder and participatory approaches. • Excellent oral and written communication skills in both Kiswahili and English. Qualified candidates should submit a cover letter and resume to Tz.Recruitment@hki.org noting the position title in the subject line. Applications will be accepted until Jan. 8th 2018.